This combination reminds me of a shoot that Cara Delevigne did with Topshop during the winter. Have a look HERE. I adored this look on her, so thought that I could try to use it as inspiration! 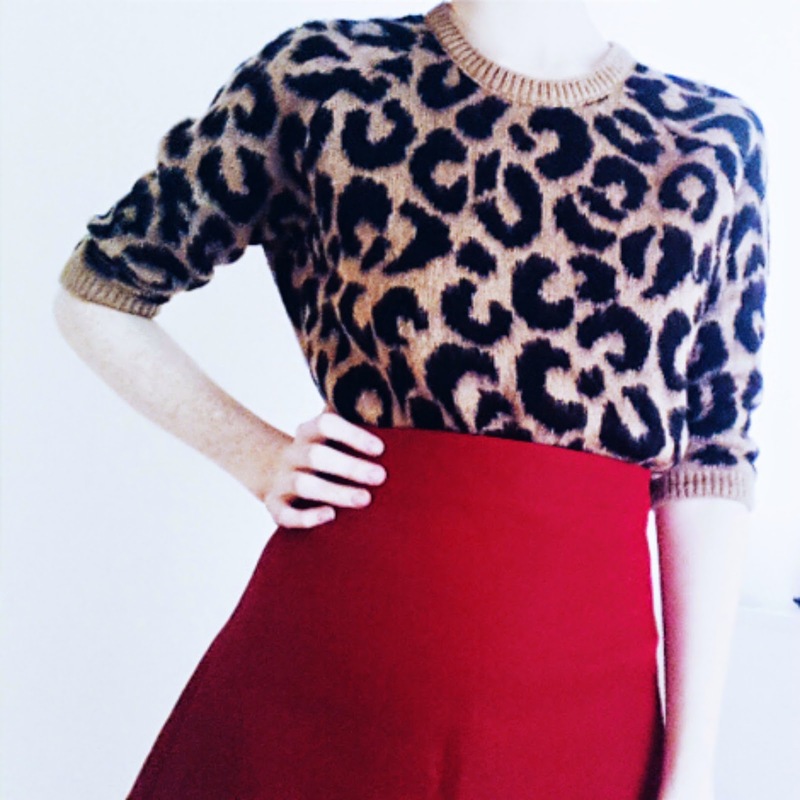 This lovely leopard print jumper is from River Island. It's perfect for spring time due to it's cropped sleeves and loose style. I love the pattern especially against the colour of the skirt. It has a bit of rock-chick vibe to it and looks great with a red lip. My skirt is from Zara. It's an a-line skirt, so is nice and fitted around the waist - giving you a great look when tucking tops in. The bright red is vibrant and eye catching and once again matches the leopard print wonderfully. Pair this with some leather boots and some cat eye sunglasses and you're ready to go!